This simple wall pantry closet, designed to be installed inside a reach-in closet or along a wall, is efficient, practicle and attractive. 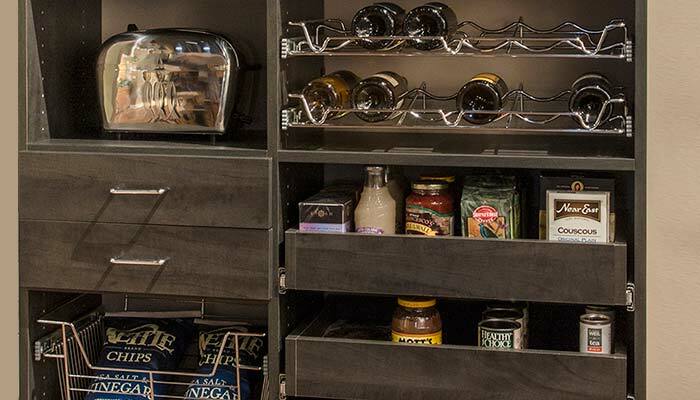 It is a wall pantry cabinet that stores items so that the chef in the family can see what is on hand without losing items behind a clutter of jars and cans. 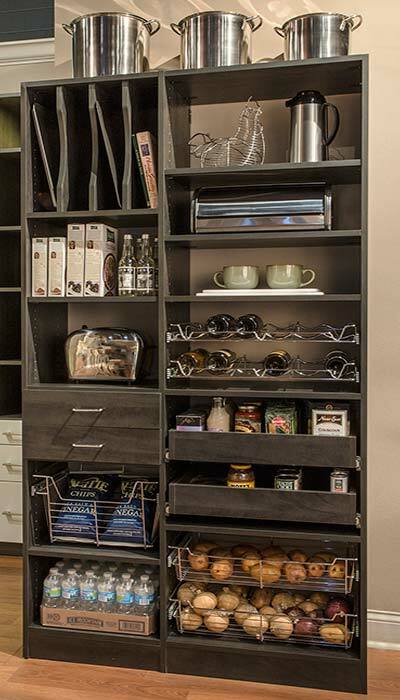 Pull out shelves for pantry organization ensure that smaller items are always easy to find and stay organized. 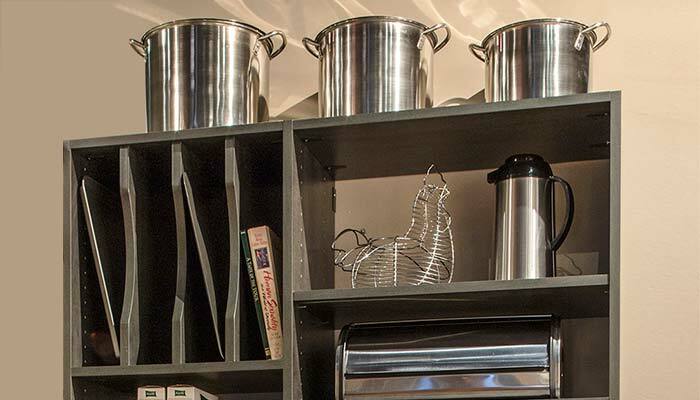 The pull out bottle racks are great for wine of course, but also are perfect for organizing gourmet bottles of different types of oil and vinegars. 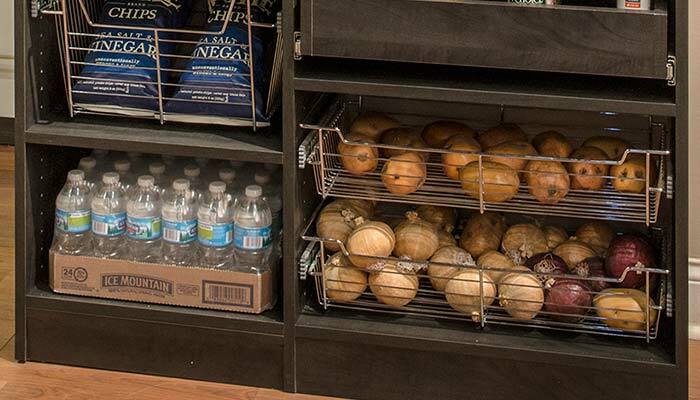 Wire baskets are perfect for root vegetables, or even fruits that you don't want to store in the refrigerator, like bananas. The deeper baskets keep otherwise messy bags neat and orderly. Two pantry closet drawers are a good solution for storing utensils like ladels, spatulas and more. The can also be used for table linens and napery like napkins and placements. The vertical pantry organizer holds cookie sheets and trays of course, but it is also a good place to keep that favoite oversize cookbook that just doesn't fit anywhere else. Fully bored panels in the organization system ensure that pantry shelves are easy to adjust, allowing the system to change as needs change. Pantry organization systems like this are usually installed with a height shy of the ceiling, allowing for the storage of extra large pots and other oversize items on the top shelf.